How to Use Credit Card Wisely in the Philippines. 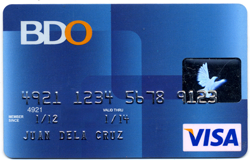 Filipinos with credit cards consider themselves lucky since they have the capacity to buy on credit. In today’s world wherein a credit card is the most convenient way to make a purchase for a merchandise whether in a store or online. These so-called plastics are powerful tools in order to build one’s credit worthiness so you should better use it very wisely. Understanding how a credit card works will help make the cardholder realize that it is not just for splurges but for smart usage. It is highly valuable for emergency purposes and for purchase of basic needs or even payment for tuition fees. You need to know how to prioritize your spending in order for the credit card to be a blessing to you. To help you out on how to use your credit card wisely, here are some useful advice and tips which can save you from being drowned in unpaid balances. Read. People tend to forget to read first the terms and conditions page and get excited to use the card not knowing that those fine lines give them the necessary info. When the bill comes, they wonder why there are so much surcharge and interest on their purchases. Remember. Always make sure that your credit card or the plastic itself is kept safely inside your bag or purse. When using it in the store, be very wary with the person handling your card and do not let it out of your sight. Also, every transaction should be done right in front of you. Being careful is better than being sorry later. Check. Inspect your credit card when returned to you by the cashier to make sure that it is indeed yours. You don’t want to be handed over a plastic which is not yours and same with the other cardholder. Also, make sure that the transaction is finished before leaving the counter. Keep. Always have a list of your credit card, its numbers and its hotlines so when you lose your card, you know what company to call and relay the number of the lost card. This is also to avoid disputes and other unnecessary charges on the lost card. Sign. It is advisable to sign the credit card right away upon receiving it. Also, after making purchases, check the transaction slip if it bears the correct amount of what you have bought before signing. Retain. Keep the transaction receipts for your purchase so you can check and balance against what is in your billing statement. These can be powerful evidence if ever there are disputes on your bills. Report. If you suspect of any fraudulent transactions being made using your credit card, report them right away. There may be other people who have copied your number and using it for their own gain. Shred. Before throwing away your billing statements, do shred them or cut it into small pieces. This is to protect your information, especially your name and credit card number. Inform. Call the credit card company whenever you transfer residence or for any contact detail changes. This is also helpful to keep your information updated. Pay. The most important part of having a credit card is to pay your balances. Pay on time to avoid unnecessary charges or pay it off before the due date. Otherwise, pay off all the balance so it won’t incur interest. Having a credit card is really a blessing because it means that you can handle it responsibly. Once you have followed the tips given above, then you are on your way to using your credit card wisely. Trouble shooting - HP DeskJet GT 5820 error codes and solutions. How to get your pag-ibig MID number Online. © 2016. Powered by Blogger.